Do Finches Make Good Pets? Finches are easier to care for than a lot of other birds because they don’t need handling. Finches are quieter than a lot of other birds. They don’t screech like a lot of birds, and only make their natural bird songs. Finches are small, so their cage will take up more space. Finches can almost never be tamed and handled. Trying to handle an adult finch will stress it greatly and it may die. Finches that are hand raised from an egg may become tame. Finches only live 4-6 years, significantly shorter than other birds. 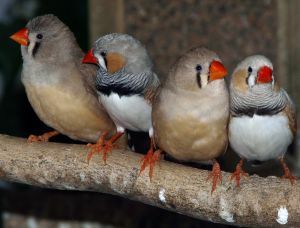 Finches are very prone to stress and sometimes small things, such as another pet in the room, may stress them out and make them get sick and die. 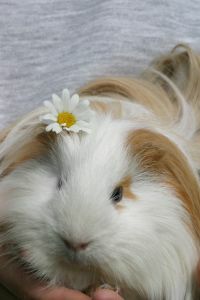 You have to keep a group of finches together because they need company. If you’re interested in getting a pet finch, I recommend the book Finches (Animal Planet Pet Care Library) , which has a lot of great care info on finches. 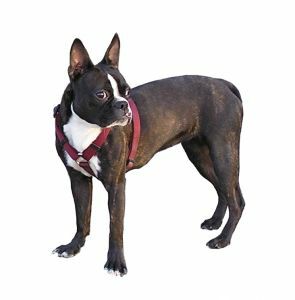 Boston Terriers are 15-17 inches at the shoulder and weigh 10-25 lbs.